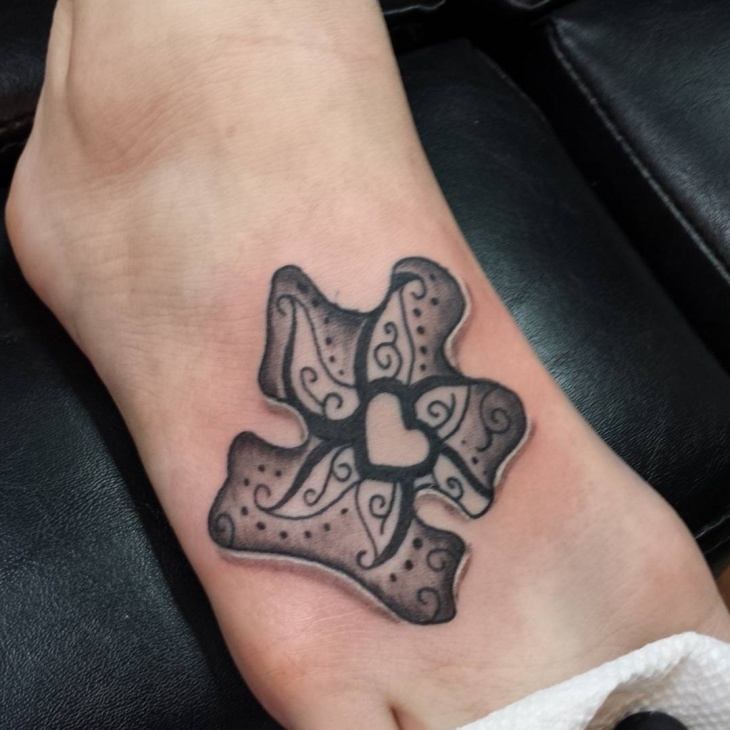 Tattoo lovers know the importance of the motif that gets inked on their body parts. From quotes to animal print to pure graphic, all designs hold a unique significance of their own. 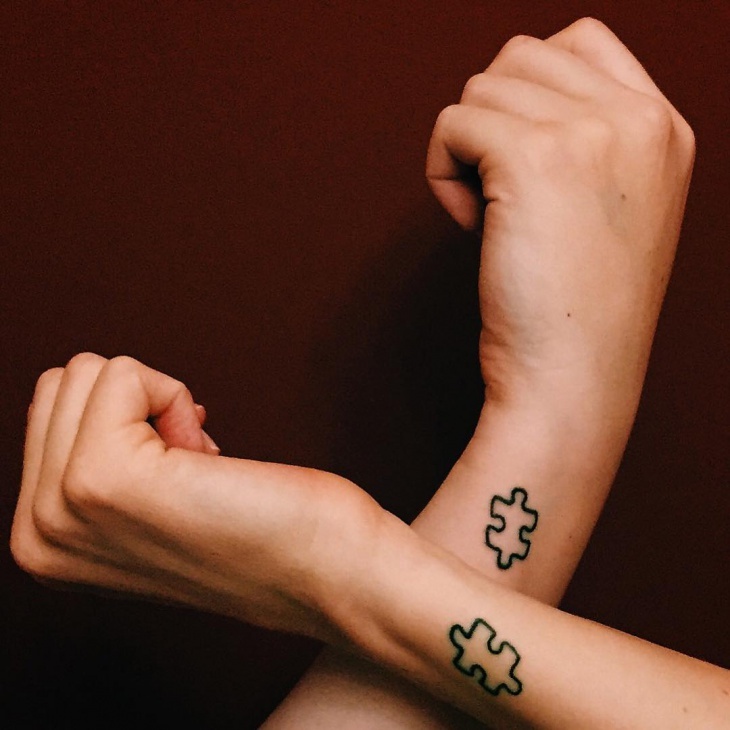 Still, if you are looking for inspiration for something unique and edgy, we have compiled together a set of puzzle tattoo designs that are certainly going to fill the missing spaces in your life. 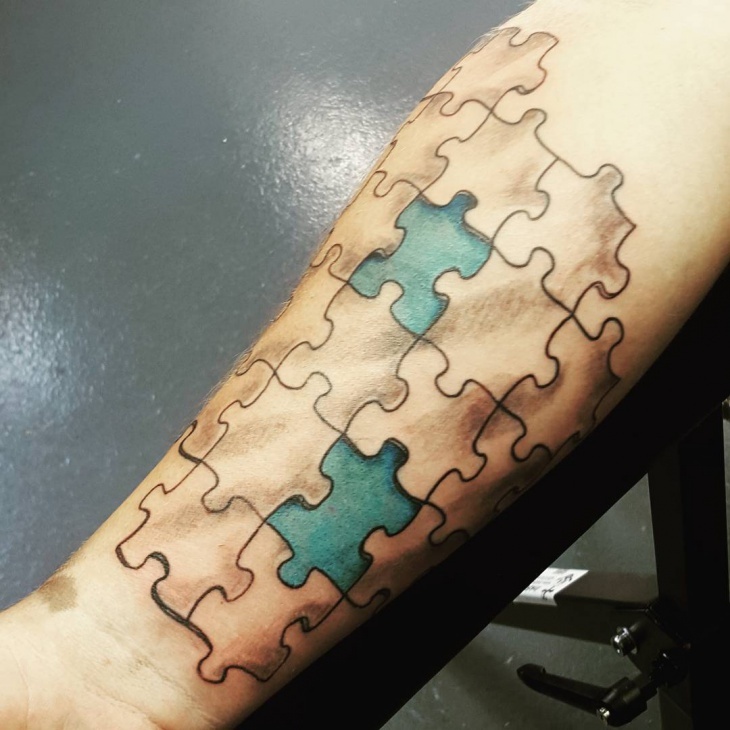 A little more detailed this zigsaw puzzle sleeve tattoo can be the best addition if you wish to achieve a more complexed look. You can choose to add colors if the complete black look turns out to be dull for your personality. 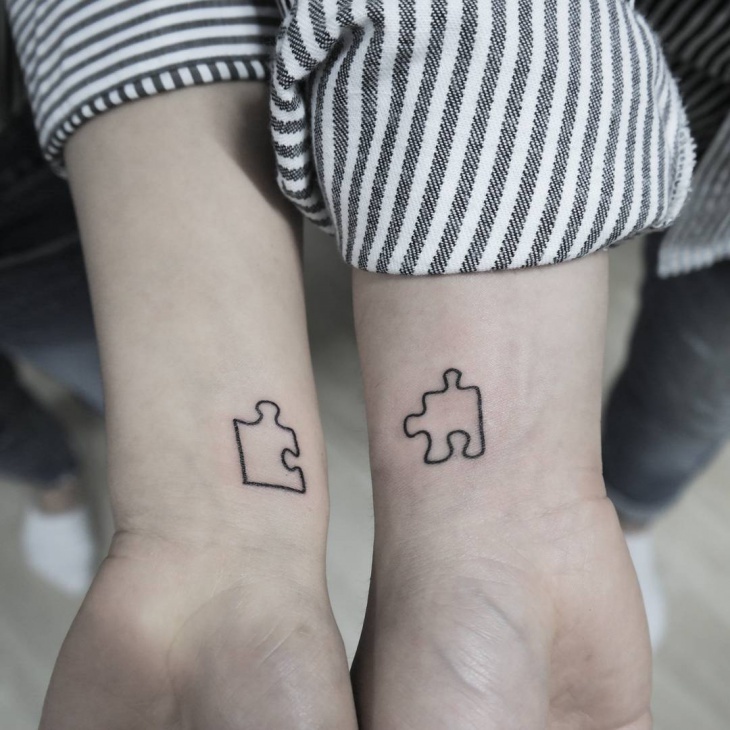 If you are looking for a couple tattoo design for you and your best friend, puzzle tattoo can be both the edgy and significant design for getting inked. 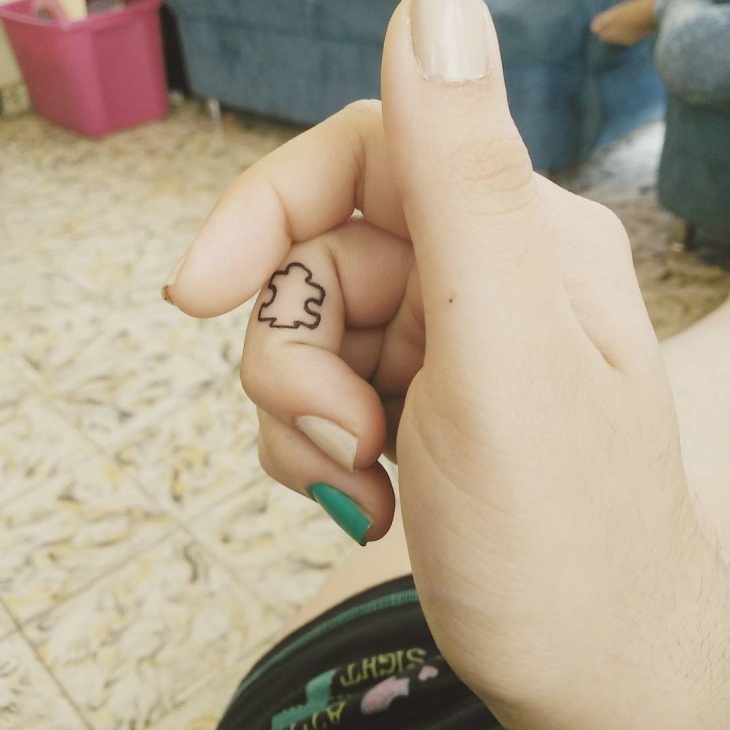 What better tattoo design to say you fill the pieces of my heart and hand. 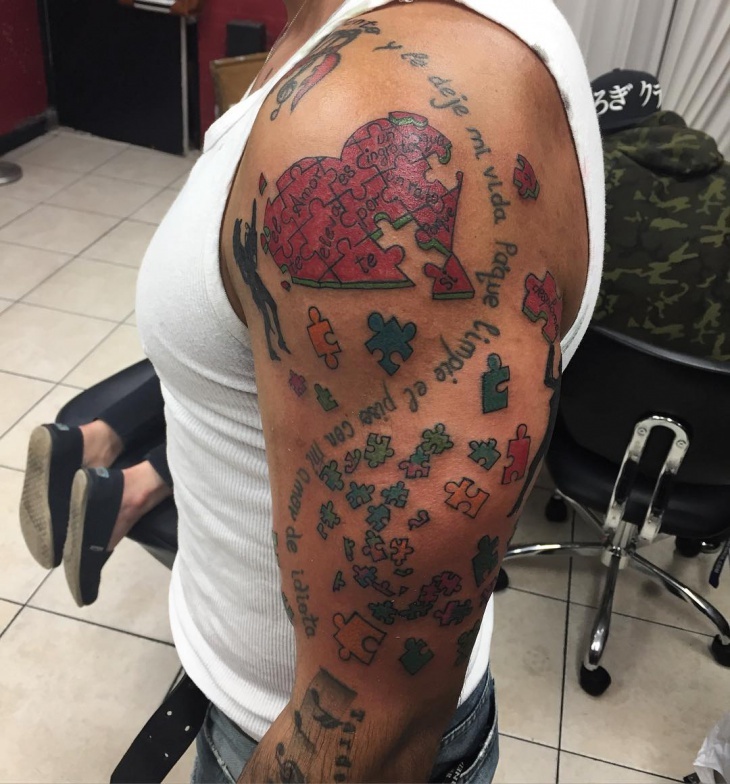 Puzzle tattoos can also be tried on your back. From simple to complex the design sure will add an extra edge. 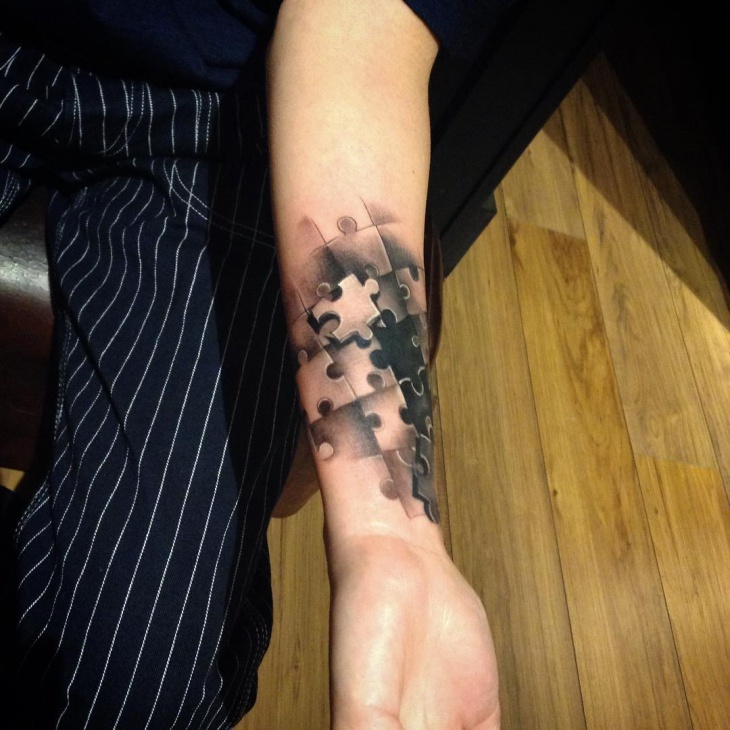 If you wish you can even add a shaded texture inside the puzzle for bringing out the finesse in your tattoo design. 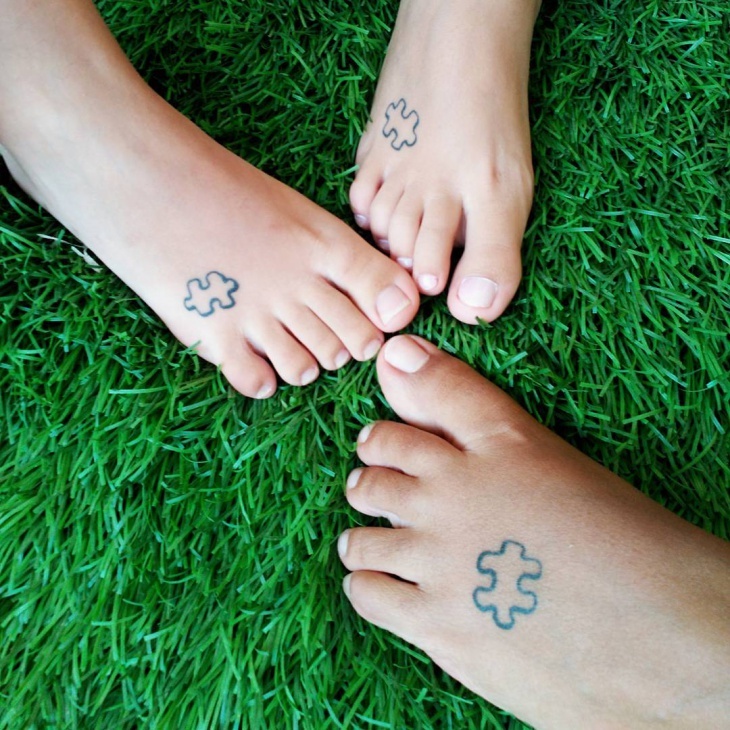 Puzzle tattoos on foot can be the best and permanent highlighting accessory for your feet. 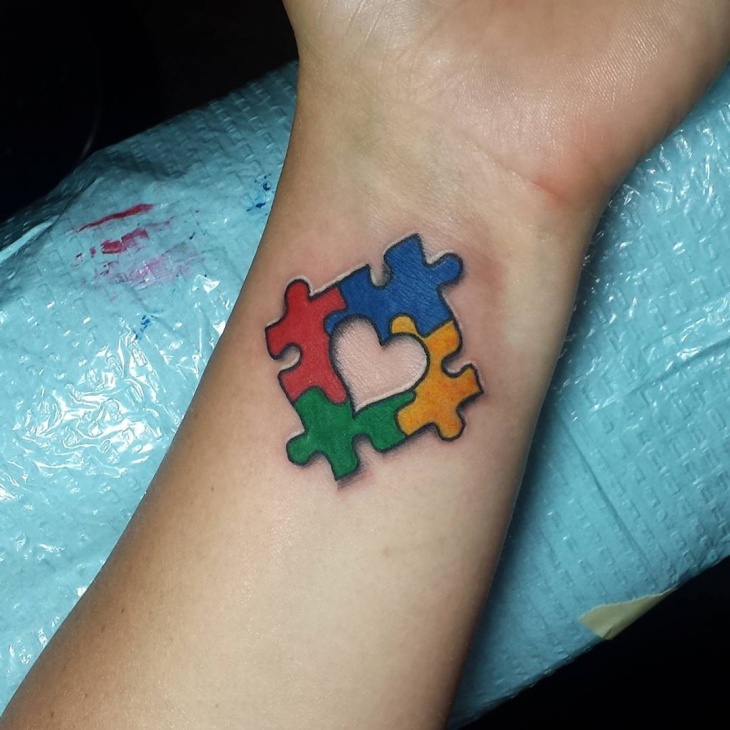 You can make the design and the color dark or light as per your personal preference. 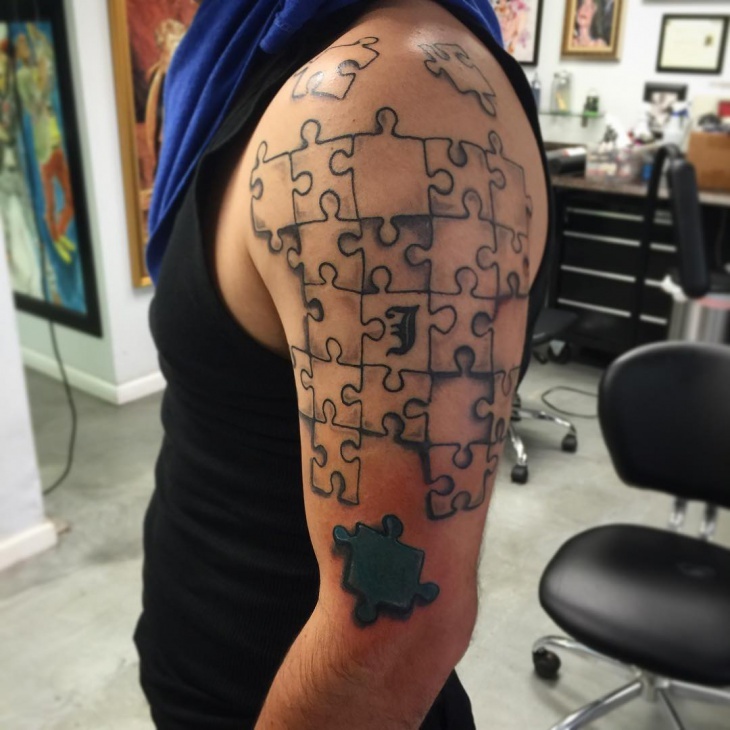 Puzzle design doesn’t always need to be standard you can be as creative as you wish to. Minimalistic or extensive the choice is all yours. 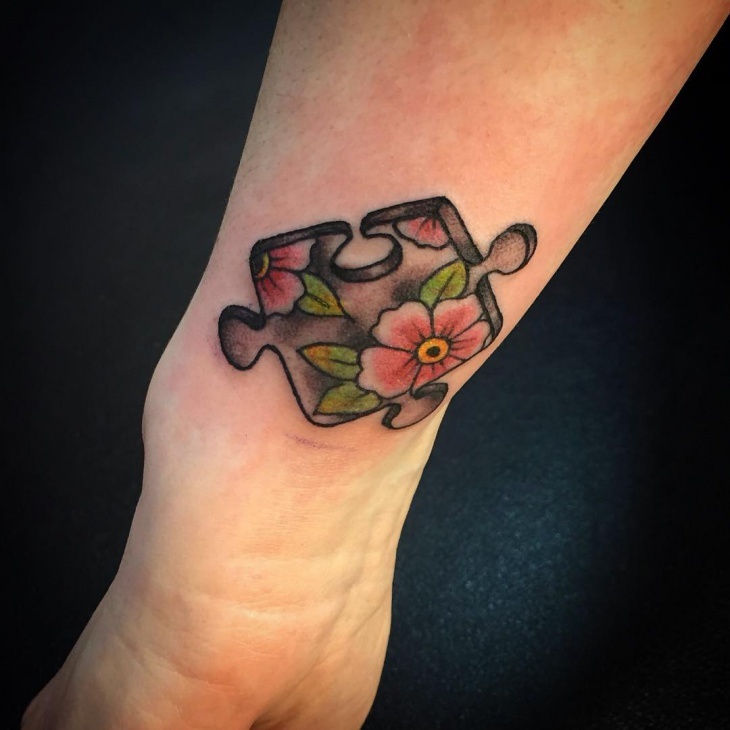 If you wish to give a completely realistic look to your puzzle, this tattoo design can be the best suitable option. 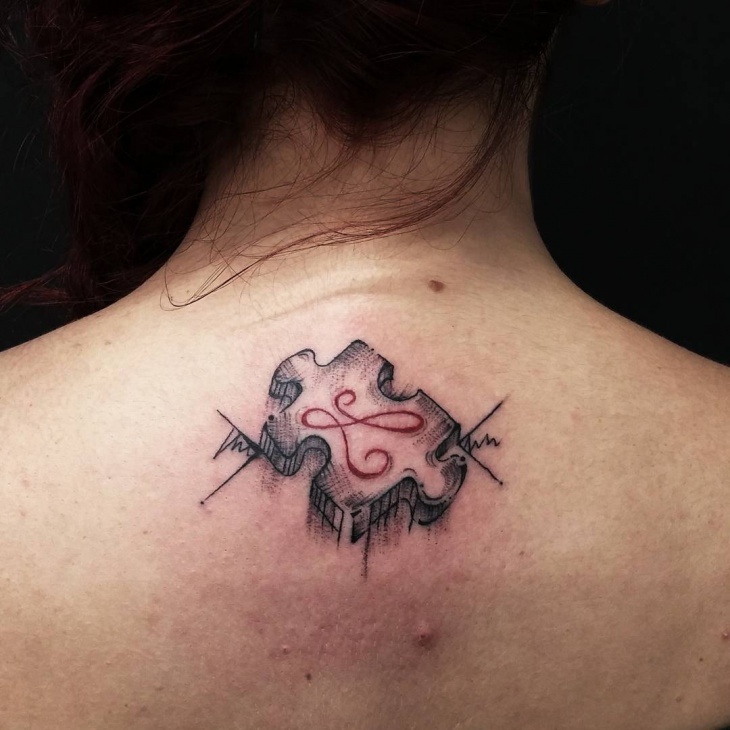 Ask the artist to ink you with the sharp contrast of light and dark. 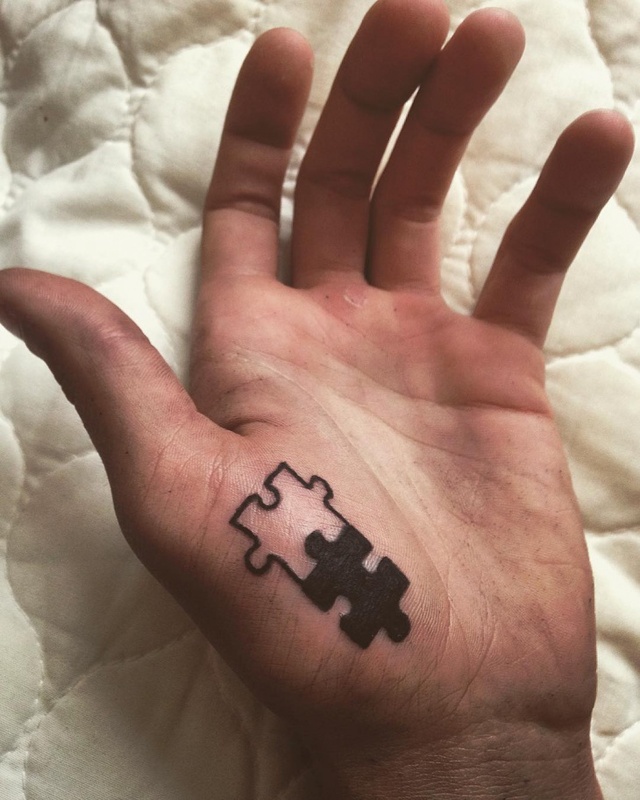 You can even outline the puzzle pieces for a more defined and precise design. 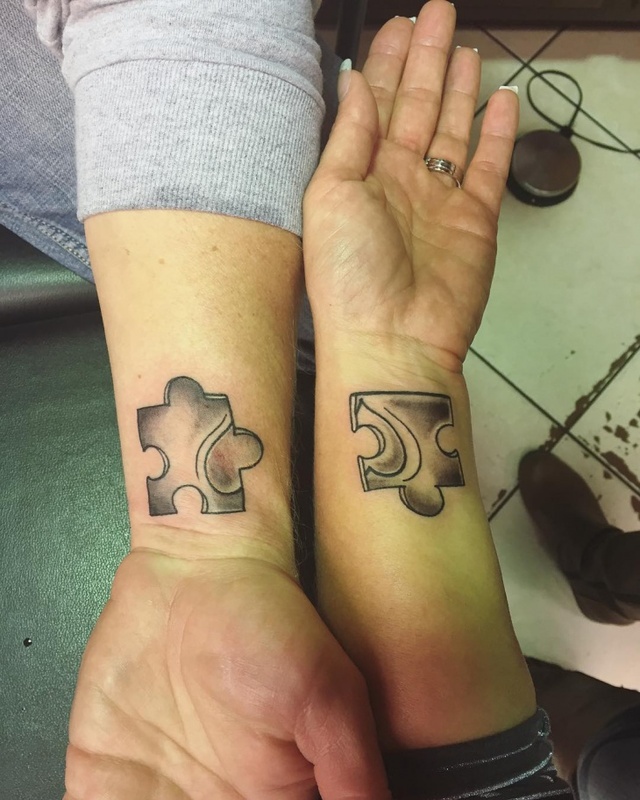 It is not just lovers or friends who can get couple tattoos if your bond with your brother or sister is as tight as it can be, puzzle tattoo designs can be worth the experimentation. 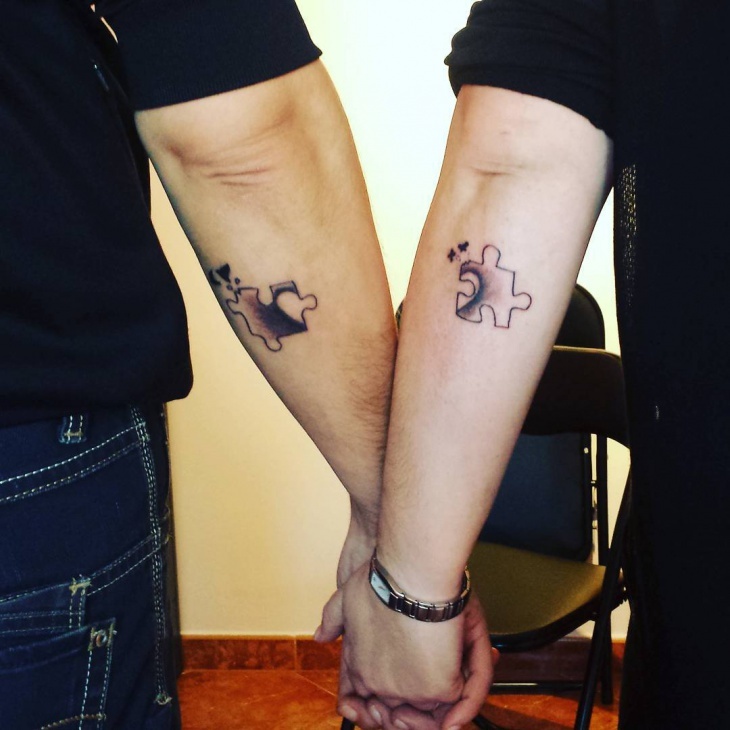 You are the key to my puzzle of life, need we say more. 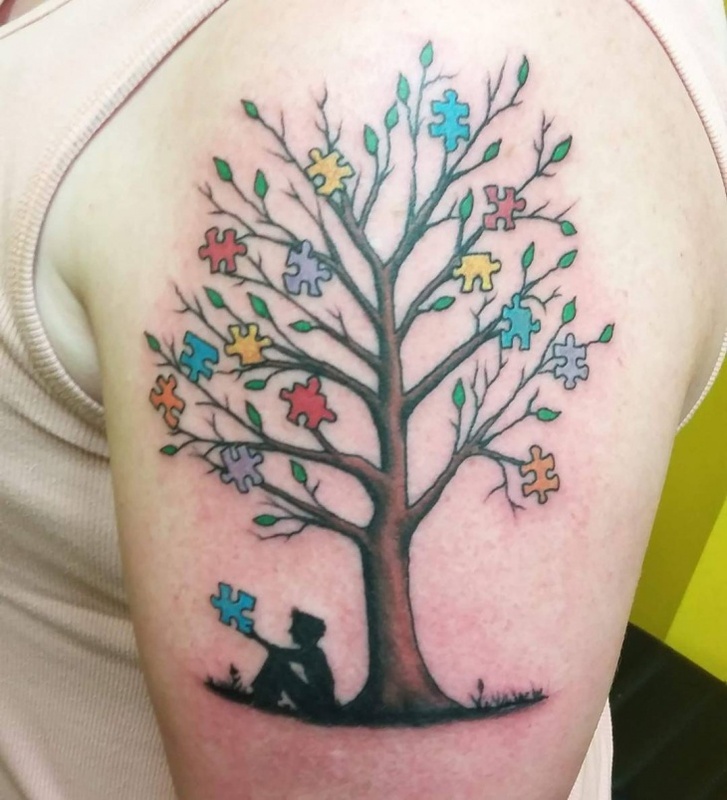 This unique design can be the best choice for someone who loves to deal with the deep philosophy of life. 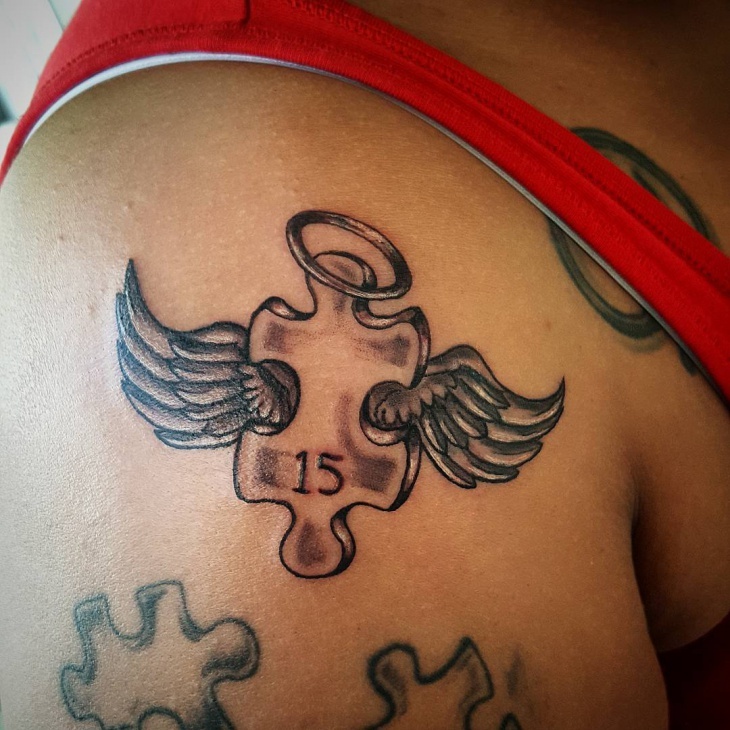 If there is a name of a friend or family member that clicked in your head with the design, be sure to share with them. 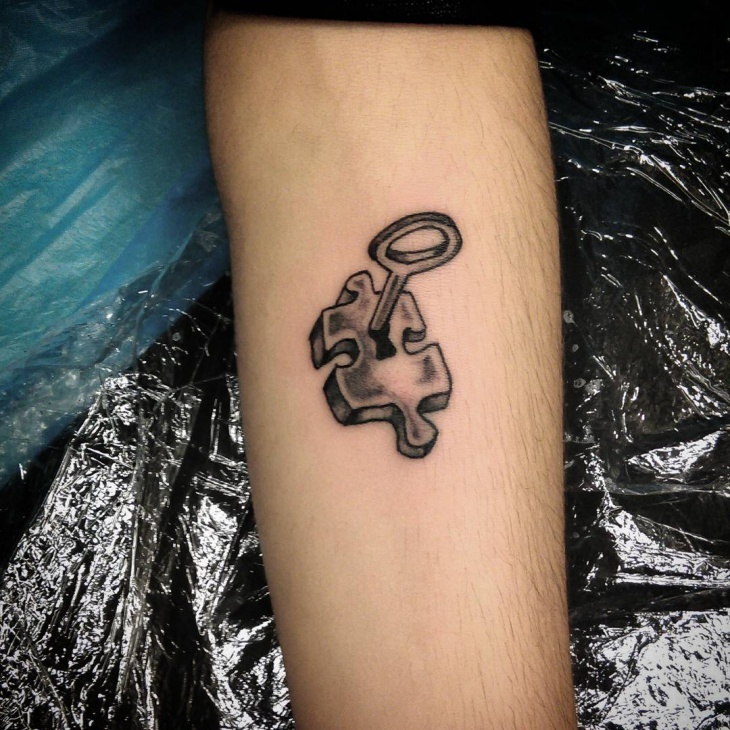 We are sure they will enjoy the design and you will receive your philosophical chapter of the day. 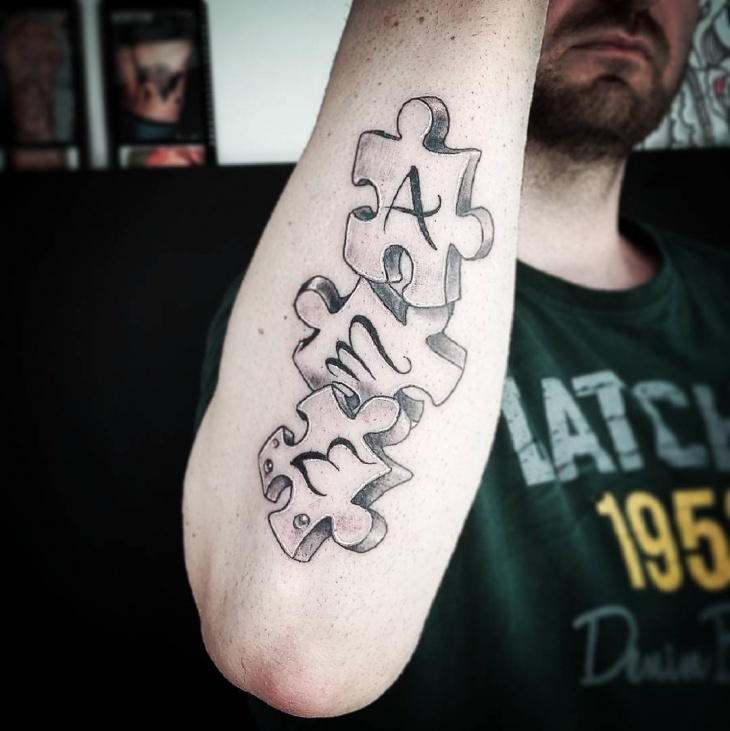 Puzzle tattoo design can be easily modified with a personal quote or message that reflects and adds meaning to the design. 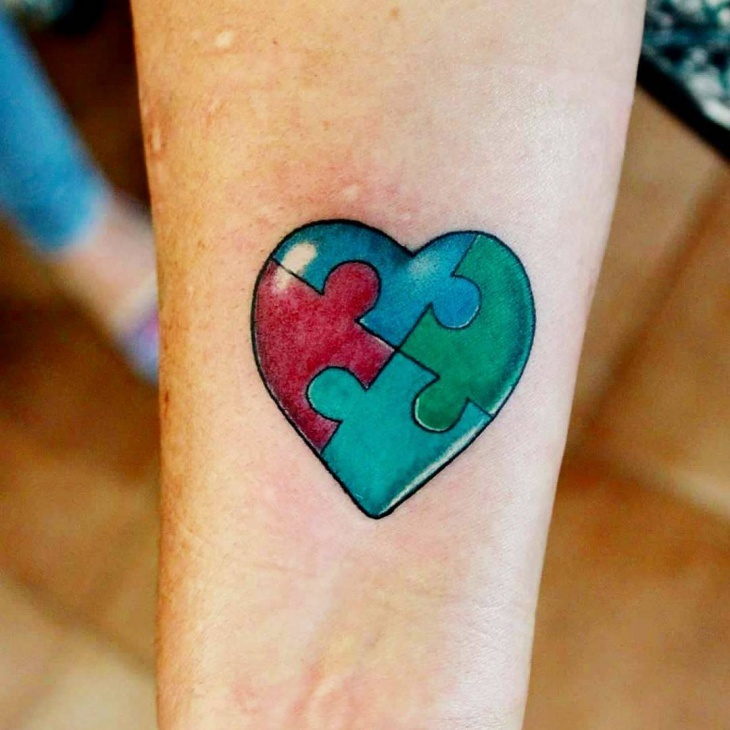 If you are planning to get inked, puzzle tattoo designs are worth the try. Whether you choose to be daring, creative or sober there is one common element that ties all and that is meaningfully edgy.